How to Extract Audio from iTunes DRM M4V Videos on Mac? Many complex factors make a video gripping such as the plot, the acting skill, the effects, etc. Amony those factors, the role of melodies should not be ignored. Without the song "My heart will go on", Titanic could not have been that successful. Like most people, you probably also have lots of M4V videos. How wonderful it would be if you can extract audio from M4V videos without repurchasing the songs from iTunes store again. So you can play them on any MP3 player like iPod shuffle, iPod nano, iPod classic and iPod touch etc. or use audio editors to add the extracted melodies to your own videos after audio processing. To extract audio from iTunes M4V videos, AVS4Mac M4V Converter Plus for Mac is highly recommended. AVS4Mac M4V Converter Plus is a great iTunes M4V converter that helps you convert iTunes M4V to MP3 or AAC audio formats. 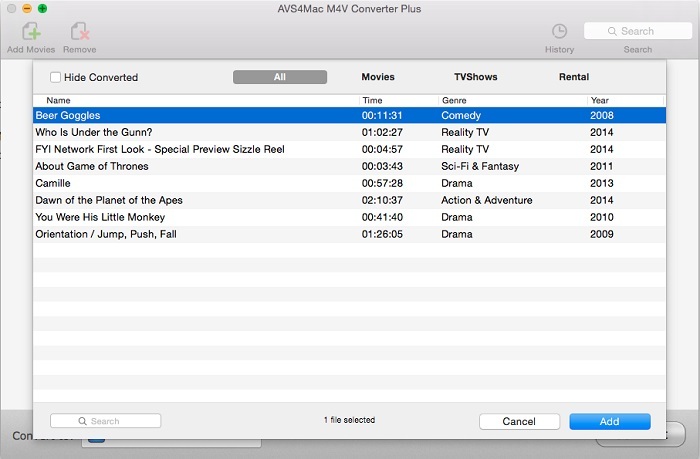 What's more, AVS4Mac M4V Converter Plus enables you to keep the chapters of the original video with setting Begin and End time for each video to get the specific section as most times we just need the chapters. Now, just learn how to extract audio from iTunes DRM M4V videos step by step. Click the Add Movies button , then software will open the iTunes movies library by default and all available videos will be listed. Select the files and then click "OK". 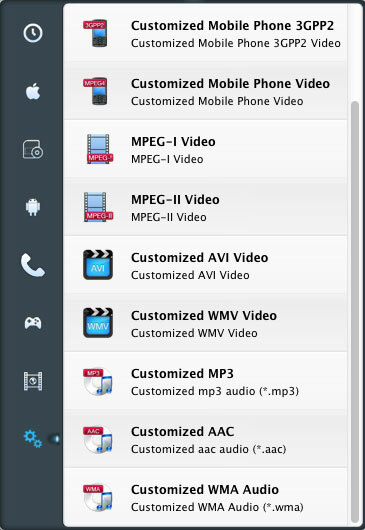 Click "Profile" dropdown list, you can choose customize the output formats for iTunes DRM M4V videos. Select output format as Customized MP3/AAC. The video will be disabled by default. Click the time setting box then choose "Custom" option, input the Begin and End time to convert the clips which you want. Click "Convert" button, you'll open the converting box. Click "Browse" button, you can customize the output path. Click "Start" button in converting box to extract audio from iTunes M4V videos.